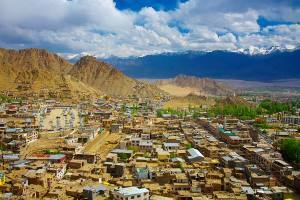 On the Leh to Manali road at a distance of 15 KM from Leh town Shey Palace is located. This royal Palace and Shrine built in sixteenth century A.D. King Deldan Namgyal built the Palace around A.D 1650. 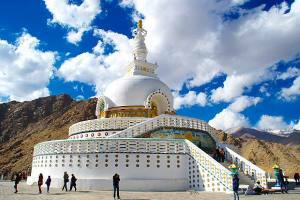 The Palace has the largest Changchup Chorten ( Victory Stupa ) in Ladakh, the top of which is made of pure gold. The royal family shifted to Stok Palace in 1843 AD . 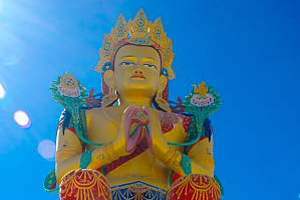 The three storied Palace has 7.5 meters statue of seated Sakyamuni Buddha copper and brass plated with gold, silver studded with gems and precious stones. From the main road you have to climb up to reach the Palace. To your right you will find rows of Buddhist prayer wheel upto the basement of the palace. 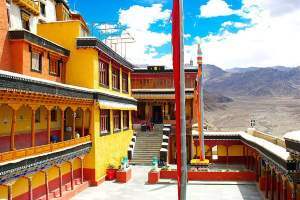 Inside the palace you can visit different floors and at the top floor you will get good view of Leh town and nearby valley. You can spot Shindu Ghat from the top floor of the Palace. 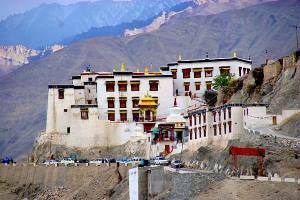 This palace and Monastery is located before Thikse Monastery on the Leh to Manali road. 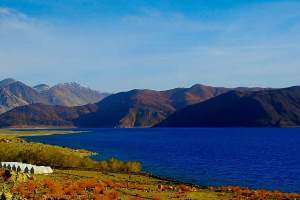 You can plan to visit Thikse Monastery, Sindh Ghat, Shey Palace and Rancho's School on a half day sightseeing trip from Leh town.